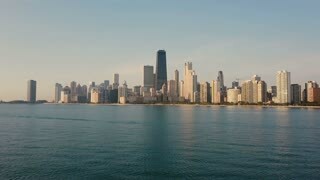 Aerial view of the Chicago, America on the dawn. 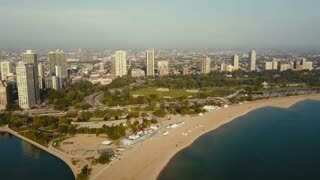 Drone flying in parallel of the shore of the lake Michigan. 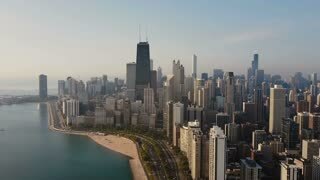 Aerial view of the downtown of Chicago, America and Michigan lake. Copter flying up to downtown on the dawn. 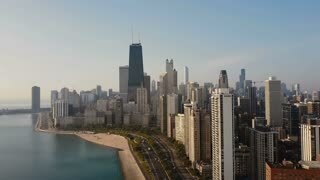 Aerial view of the cityscape of Chicago, America early in the morning. Copter flying up to the city, Michigan lake. Aerial view of the Chicago, America in the morning. Drone flying along the coast of the Michigan lake and road. Aerial view of the Chicago, America. 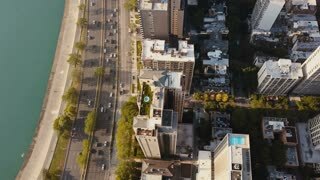 Drone flying up to the downtown, skyscrapers on the shore of the Michigan lake. 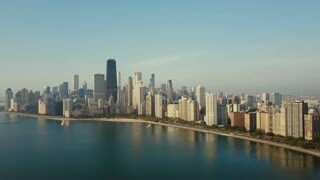 Beautiful aerial view of the Chicago, America in the morning. Drone flying away from the downtown, Michigan lake. Aerial view of the Michigan lake and Chicago, America. Drone flying low over the water to the downtown in the morning. 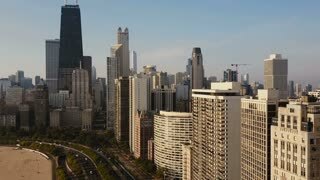 Aerial view of the Chicago, America. Busy downtown, city centre on the shore of the Michigan lake on the dawn. 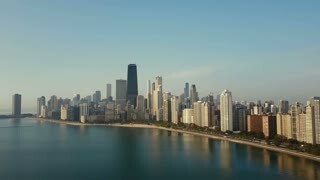 Aerial view of the Chicago, America early in the morning. Drone flying over the lake Michigan on the dawn. Aerial view of panorama of the city on the shore. Chicago, America on the coast of the Michigan lake on the dawn. 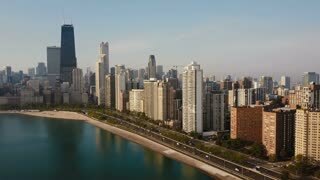 Aerial view of the Chicago, America on the down. Drone flying away from the downtown on the shore of Michigan lake. 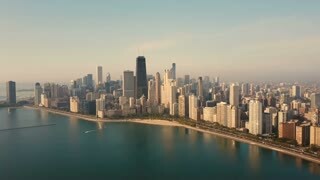 Top aerial view of the Chicago, America. Drone flying over Michigan lake, traffic road and apartments in the morning. Aerial view of the beach on the shore of the lake Michigan. 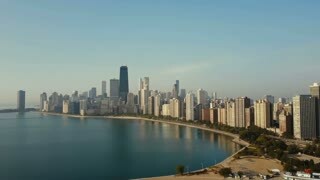 Drone flying over the Chicago, America on the dawn.